Have you ever wished that those tatted-up bodyweight experts would tie their vision of strength into a single “do this right now” program? Well, wish no more! 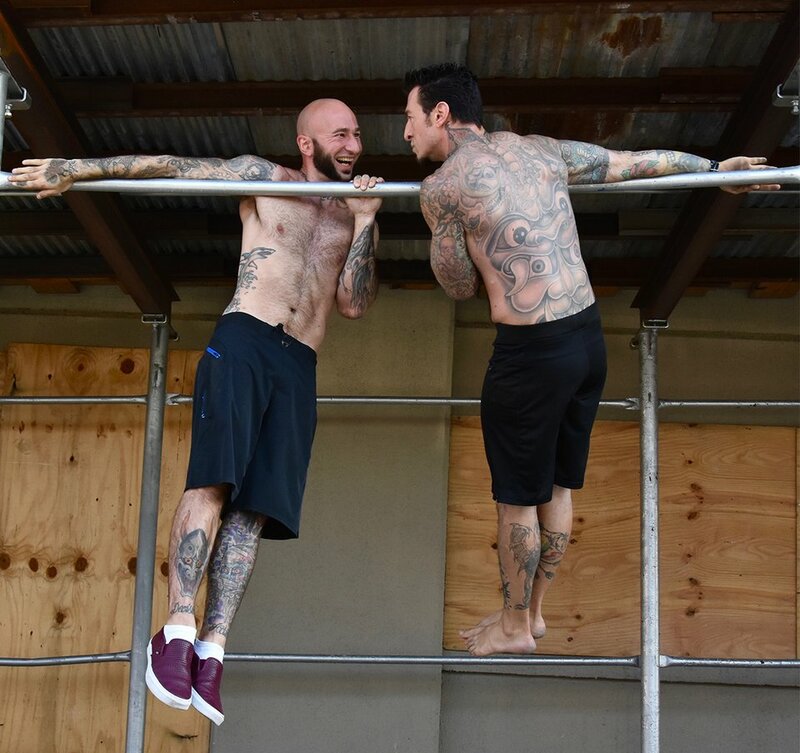 After a number of individual bylines on everything from the essentials of bar training, to personal training, to earning your diamond-cut abs, the two collaborated for the first time last year on the book Street Workout. While this photo-packed paperback contained numerous individual workouts, the one thing it didn’t offer was a full, start-to-finish, multi-phased program. If that’s what you’ve been waiting for, wait no more. 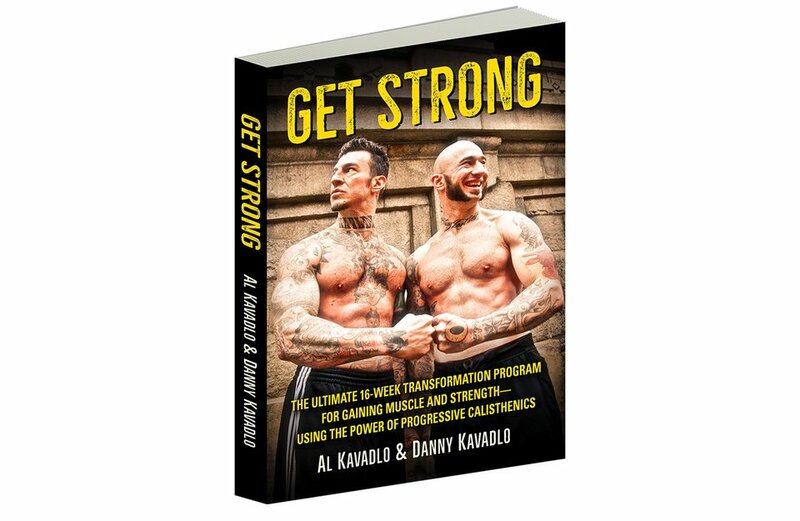 The Kavadlo’s second dual byline, Get Strong: The Ultimate 16-Week Transformation Program for Gaining Muscle and Strength Using the Power of Progressive Calisthenics, was recently released, and the brothers let us in on their vision of a stronger world. But, if you put them in a push-up contest, things even out. Because bodyweight strength training focuses on the practitioners’ pound-for-pound strength, we all have the same relative resistance: ourselves. Al: The program starts with three training days per week, then adds a fourth day in halfway through. The workouts shouldn’t require more than 50 minutes, and the only equipment needed is a floor, a wall, a bench or step, and a bar or other sturdy object that you can hang from.